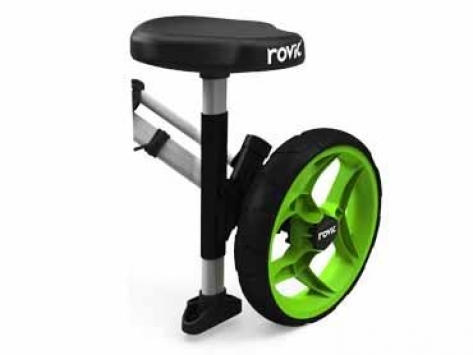 The Rovic® RV2L Seat is great for a quick rest while on the course. The Rovic® RV2L Seat allows you to sit down and relax on those days where things are slow or you just need to relax on the golf course. Designed to fit perfectly with your Rovic Cart and provide a stable and durable seat. It is all aluminum construction which high quality fit and finish to ensure a long lasting addition to your favorite cart. Some installation required and rated for 220lbs (100kg) Maximum Weight. This accessory fits all Rovic Model RV2L Push Carts only.